After breakfast proceed for the sight seeing of Darjeeling covering Parmesan Nadia Himalayan Zoological park, Himalayan Mountaineering Institute, Ropeway, Tensing -- Gumbo Rock, Tibetan Refugee Self Help Center , Tea Estate, Lebong Race Course , Peace Pagoda. 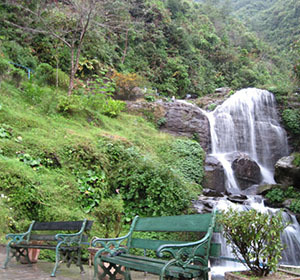 & Rock Garden -Gangamaya Park.Night stay in Darjeeling. Early Morning Excursion to Tiger Hill, Ghoom Monastery & Batasia Loop. After breakfast drive to Gangtok(114kms/05hrs).Rest of the Day free at Leisure.Night stay in Gangtok. After breakfast proceed for the sight seeing of Gangtok covering Directorate of Handicrafts and Handlooms, Enchey Monastery, Research Institute of Tibetology, Chorten ( Stupa ), Orchid Sanctuary, Rumtek Monastery, Ganesh Tok, Hanuman Tok & Tashi View Point.Night stay in Gangtok. After breakfast transfer to the NJP Rlw Station or Bagdogra airport(115kms/4.5 hrs) to board the onward flight.